VCU student, Tanya Traner, followed Project Lipstick on our "Adventures of Eve" journey. She gathered footage from the starting board all the way to the Grace St. Theater and compiled it into a wonderful mini documentary. She captured the girls at rehearsal; out on the streets of Richmond while promoting, at fundraisers, at meetings....she went where we went. View the documentary to meet the girls of PL and learn a little more about our mission -> Linkage!! 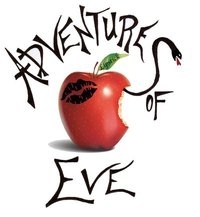 Project Lipstick invites you to experience the Adventures of Eve, a tribute show that will chronicle the industry's most influential women in entertainment. Dancers and vocalists will come together to honor women who used song & dance to transcend all barriers in language, color, and culture. Some icons featured include: Madonna, Aretha Franklin, Paula Abdul, and Janet Jackson. Eve's journey has been truly remarkable. Come get inspired by the past, present, and future! Attendees are encourage to bring in items that will be donated to ChildSavers. Please visit www.childsavers.org for their wishlist. Where: Emilio's On Broad St.
Click on Wishlist to download the complete file. The Supremes, an American female singing group, were the premier act of Motown Records during the 1960s. The Supremes have sold over 100 million records to date. Their catalog remains active 50 years later. Spewing with feminity and grace, these women broke down many barriers in music, race, and culture. 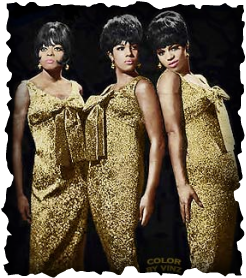 The Supremes are just one of the many iconic females that will be celebrated in "Adventures of Eve". 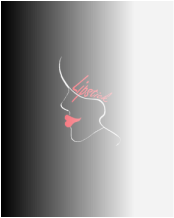 Project lipstick is still accepting video auditions for "Adventures of Eve". There are a few more artists that we need depicted so if you are a female vocalist or female rapper please send in your video submission to lipstickvixens@gmail.com. Links to youtube or other video hosting sites are acceptable as well. Please include name, contact information, and a brief description of yourself. The show is tentatively scheduled for April 16, 2011. The ladies of Lipstick took a different approach at promoting, "Adventures of Eve", and held a flash mod dance scene in the midst of an unsuspecting crowd. Project Lipstick and guest dancers met downtown during First Friday's artwalk and delivered a few captivating performances of Janet Jackson's Rhythm Nation. 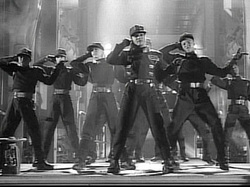 The dancers performed the choreography and even donned the attire from the popular music video. Project Lipstick wanted to give people a visual of what to expect from, "Adventures of Eve"; which is tentatively scheduled for April 16, 2011. The video will be up soon. Stay tuned for details about how you can be part of the next flash mob dance scene which will take place in March.